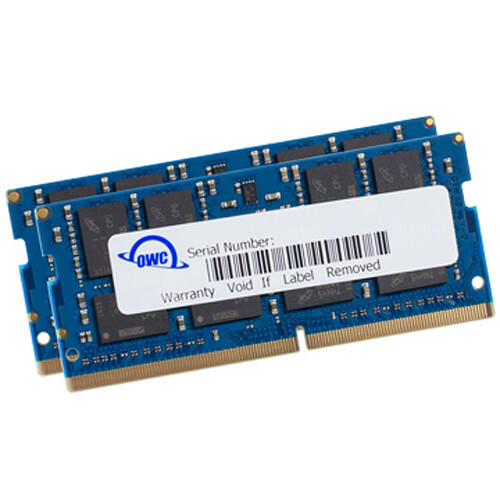 Boost the memory capacity of your supported Mac or Windows PC with the 32GB DDR4 2666 MHz SO-DIMM Memory Upgrade from OWC. Compatible with 260-pin SO-DIMM slots, this 32GB DDR4 memory upgrade comes in two 16GB modules and has a 2666 MHz clock speed, a bus speed of PC4-21300, and a low-noise, 8-layer PCB design. Operating at 1.2V, this memory upgrade is designed to meet or exceed Apple's and Intel's specifications. Box Dimensions (LxWxH) 6.95 x 5.0 x 0.5"
Will this work for the new 2019 iMac 27&quot; base model?